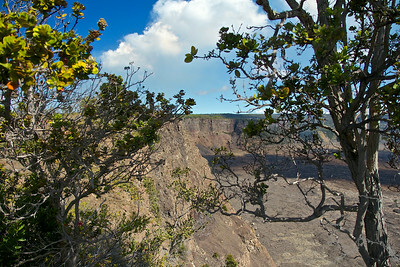 This is in Volcanoes National Park. 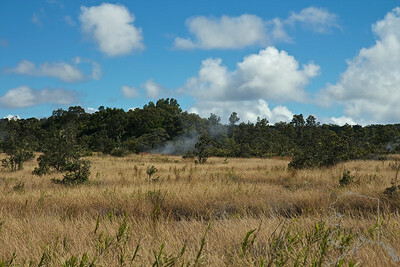 They are steam vents that are right on the edge of the Kilauea caldera. The park service has put this railing up to keep people from falling into them but just on a few. 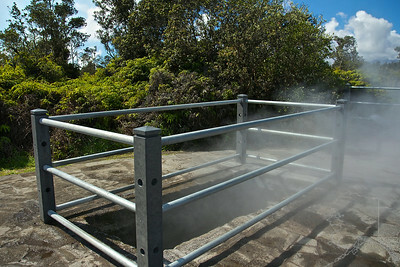 The steam comes from rainwater that has made its way down to where the magma heats the rock. 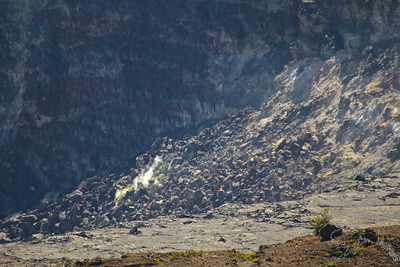 This is in Volcanoes National Park. 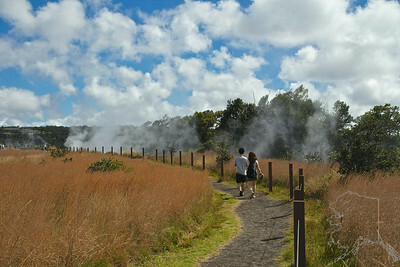 They are steam vents that are right on the edge of the Kilauea caldera. Sorry Mom, I had to get off the trail and have a look down the hole my self. 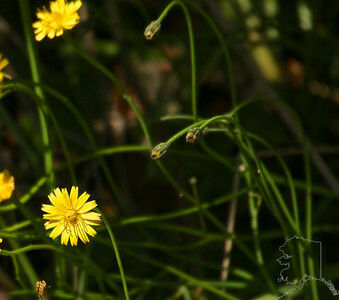 Notice the plant life around the hole. The rocks around the hole and the steam itself were way hot. 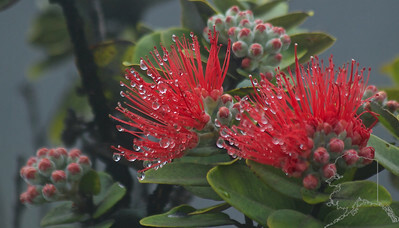 This is a Metrosideros polymorpha. 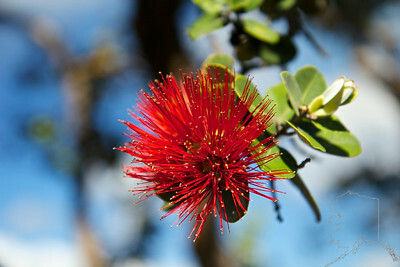 It is called 'Ohi'a Lehua by the Hawaiians. Meaning twisted by fire. 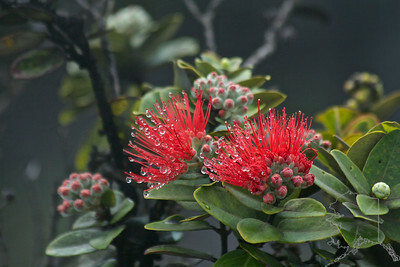 The steam has condensed on the this 'Ohi'a Lehua. 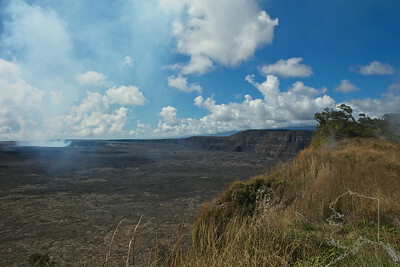 The Kilauea caldera. 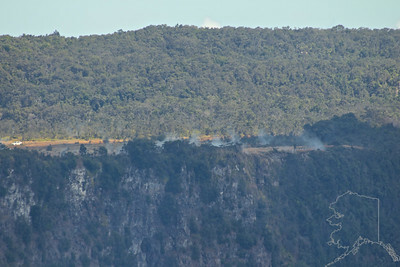 The smoke is burning lava at the surface. 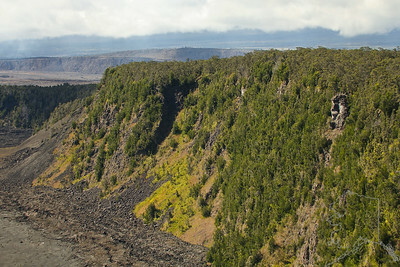 The Kilauea caldera. 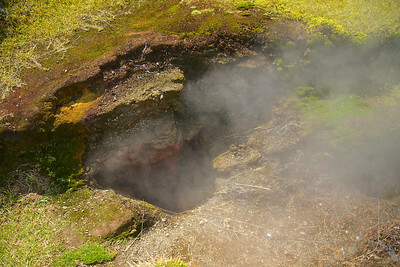 Steam inside the caldera. 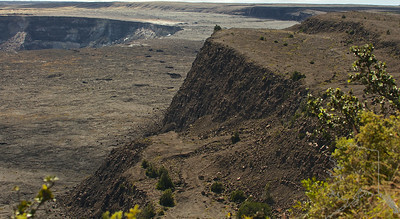 The Kilauea caldera. 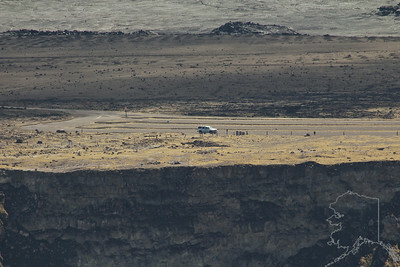 Park rangers and Vulcanologist right on the edge of the caldera. 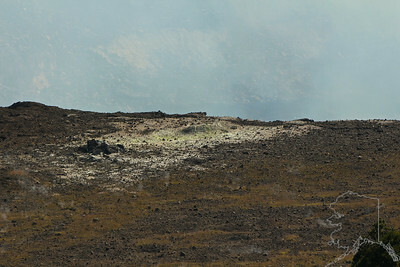 They are keeping an eye on the volcano and keeping us from going over there. 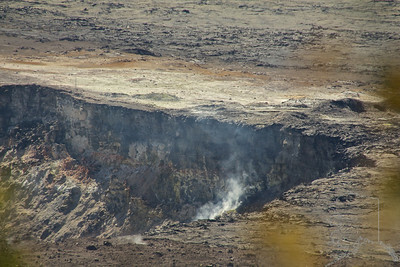 Inside the Kilauea caldera. The smoke is burning lava at the surface. 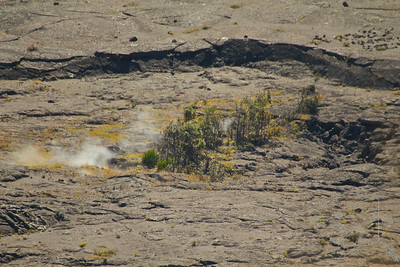 Inside the Kilauea caldera. 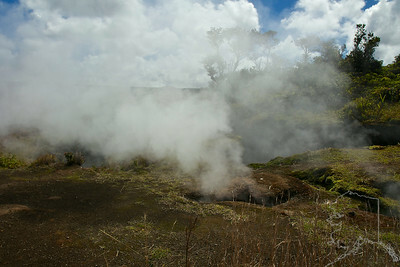 Steam inside the caldera. 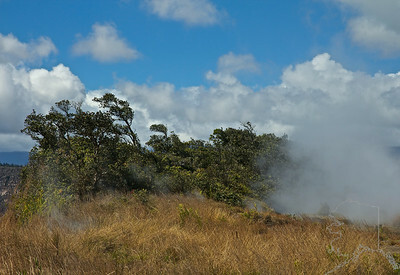 Steam from a pressure ridge inside the Kilauea caldera. 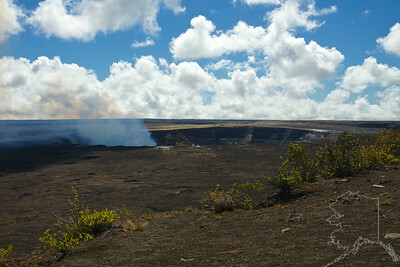 Inside the Kilauea caldera. 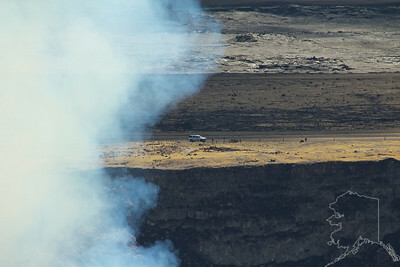 The canyon wall has fell into the smaller caldera. 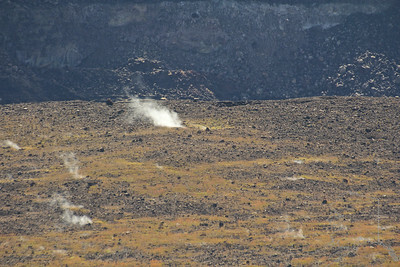 These are the steam vents at the edge of the caldera. 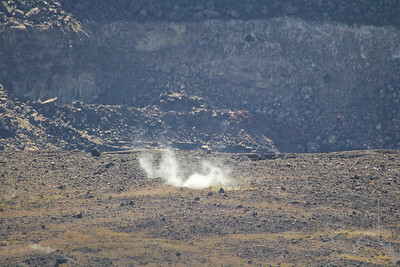 Here you can see the sulfur from a small vent right by the little crater inside the caldera. 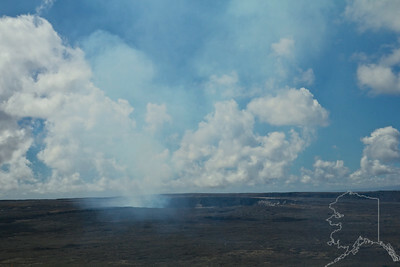 This is Pu'u Pua'i vent. 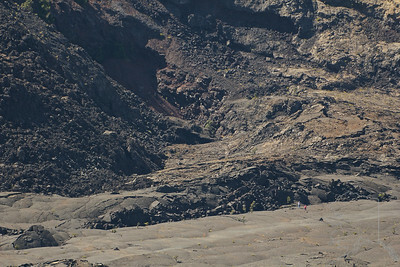 It erupted from November 14 to December 20, 1959. 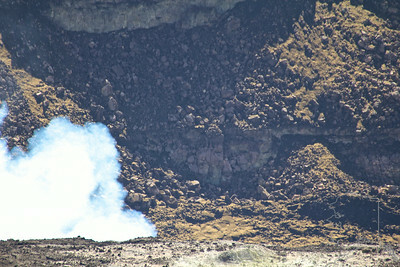 Pu'u Pua'i means gushing hill. If you look in the far right hand corner, you can see two people walking a trail. Gives it some size to the vent. 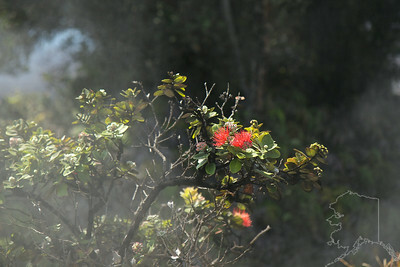 This is Pu'u Pua'i vent. 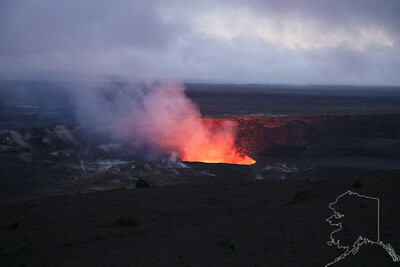 It erupted from November 14 to December 20, 1959. Pu'u Pua'i means gushing hill. If you look at the bottom right you can see two people walking a trail. Gives it some size to the vent. 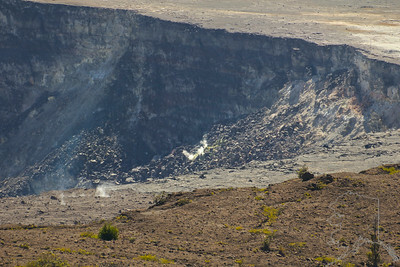 This is Pu'u Pua'i vent. 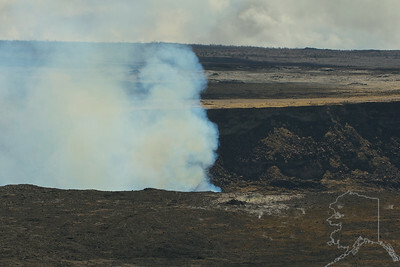 It erupted from November 14 to December 20, 1959. Pu'u Pua'i means gushing hill. Look at the bottom right, you can see two people walking a trail next to the vent. 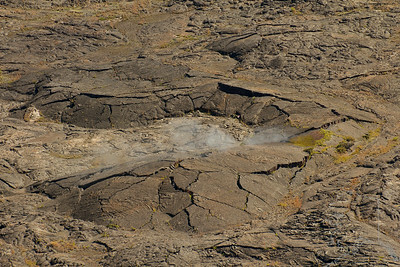 This is Pu'u Pua'i vent. 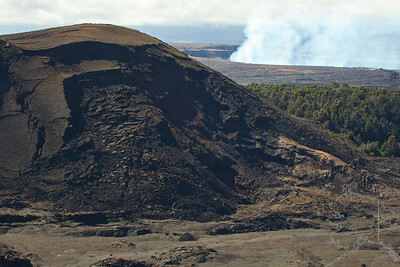 It erupted from November 14 to December 20, 1959. Pu'u Pua'i means gushing hill. 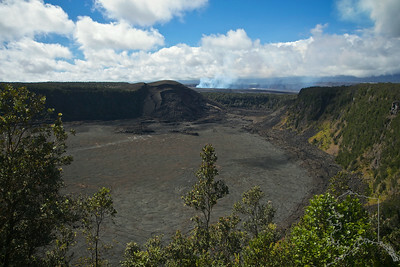 Kilauea caldera has a diameter of 2 by 3 miles it iis 2.7 miles long by 1.6 miles wide. It is about 470 feet deep. The red glowing part of the caldera where the magma lives is about as big as a football stadium. 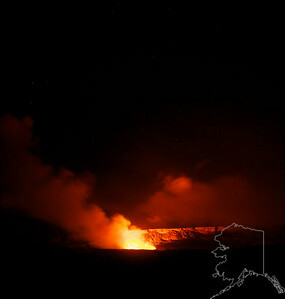 The Kilauea caldera at night. 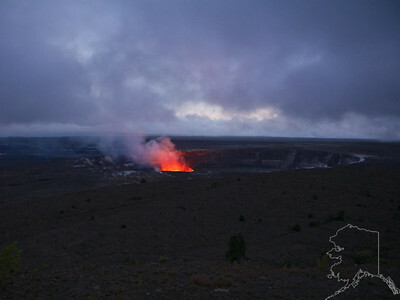 Kilauea caldera has a diameter of 2 by 3 miles it iis 2.7 miles long by 1.6 miles wide. It is about 470 feet deep. The red glowing part of the caldera where the magma lives is about as big as a football stadium. 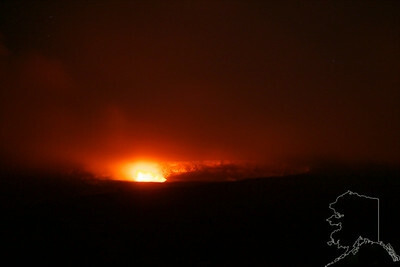 Inside the Kilauea caldera at night. 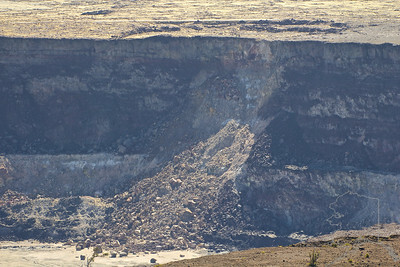 Kilauea caldera has a diameter of 2 by 3 miles it iis 2.7 miles long by 1.6 miles wide. It is about 470 feet deep. The red glowing part of the caldera where the magma lives is about as big as a football stadium.